Agriculture Renewable Energy Association (51). Report broadcast on TF1 in the Know with 2008 Law. miscibility problems of stable and homogeneous mixture of diesel and vegetable oilsr />Keywords: blends, blend, oil, fuel, gas oil, diesel, viscosity holding risks additive. This article is intended for all users of pure vegetable oil or rolling frying mixture. 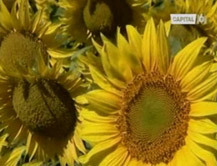 "Oil is in the meadow"
full news report aired on biofuelsApril 2006 in Special Envoy on France2. 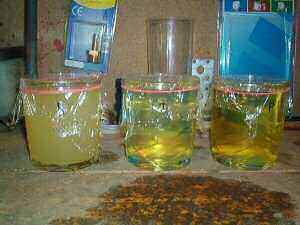 How vegetable oil in my diesel engine? Oil How much can I put in my vehicle without mechanical risk? wordsKeywords: HVP, HVB, vegetable fuel oil, diesel,%, proportion, percentage risk. All vehicles Diesels accept 30% vegetable oil mixed with conventional diesel without engine modifications. Oliomobile.org has set up a map of France referencing the various suppliers and users of crude vegetable oil. This is the OlioMap. This video is from the show Capital "Rouler pas cher, incredible tricks", broadcast on few months ago.